Business Supervisors explore possible tax hike; Hike could raise funds to better combat homelessness, they said. Recently during a televised interview, Los Angeles Mayor Antonio Villaraigosa made public for the first time his firm commitment to secure funding for Crenshaw-LAX light rail Leimert Park Village Station Stop. Late, Tuesday evening the Sentinel obtained an exclusive statement from Mayor Villraigosa that reaffirmed his commitment. A much anticipated vote on whether to build a train station that would stop in Leimert Park Village as part of the $1.7 billion Crenshaw-LAX light rail project is scheduled before the Metro board at a soon to be determined date, but now Mayor Villaraigosa and Supervisor Mark Ridley Thomas, a long time advocate of the station, have joined forces on the issue providing a unified front that can only result in a bright future for Leimert Park and the Crenshaw line. “I have always been committed making sure that Leimert Park had a ­station and stop, but now I am proud to admit publicly and remove all doubt about my goals all along,” said Villaraigosa. The Mayor’s public comments came on of heels of years of doubt and prodding from local, state and federal officials who fought to secure a Leimert Park Station. The Leimert Park Station will be an economic boon for businesses in Baldwin Hills, Baldwin Vista, View Park and other African American communities. The region consists of 11,782 residents and 79.6 percent of them are Black, making the region the heart and soul of African American culture and caretaker of its heritage. 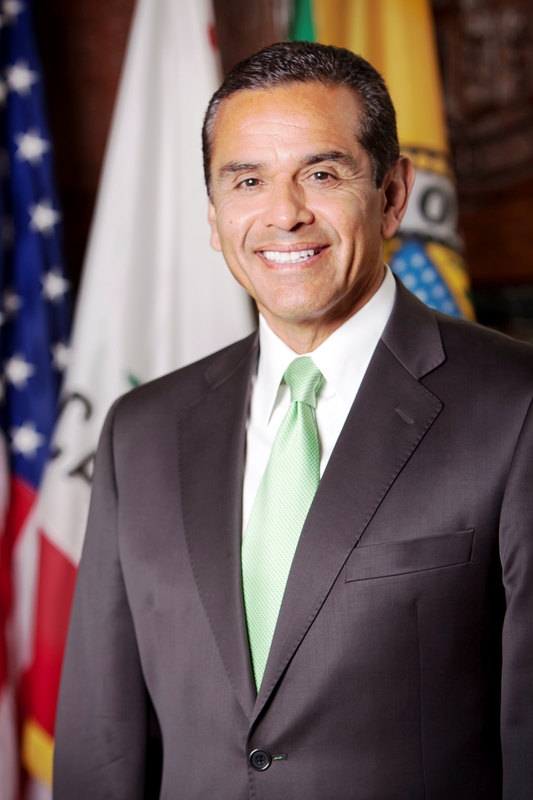 Privately, Villaraigosa has been steadfastly committed to the project but as the final days of his two-term tenure melts away, he felt it was necessary to inform the public and quiet his critics on the subject. Two years ago, despite overwhelming support for a station from a broad coalition of business owners, neighborhood groups, the church community and residents, the Metropolitan Transportation Authority board voted to build one only if it could fit within the existing $1.7 billion-budget allocated for the project, leaving the station’s future in question. The bids for the Crenshaw-to-LAX line are in and have been reviewed and the Metro staff has already made a recommendation to the MTA board on which bid to accept – a non-binding, but early “thumbs up” or “thumbs down” for the station. The recommendation, which will be carefully watched by residents, transportation advocates and elected officials throughout the county, will precede a vote by the full Metro board May 23. Any decision not to include a station in Leimert Park will be widely criticized by many, including every elected official representing the Crenshaw community – City Council members and members of the state legislature and of the U.S. Congress – who all joined in an unprecedented show of unity to call for the stop in Leimert Park Village. It will also deeply disappoint hundreds of residents who packed the Metro Board hearing room calling for a stop in what is the heart of the African-American community and increasingly, an important residential and business center for Latinos. Pre-construction work began last year for the Crenshaw Line light rail that will connect the Green Line to the Expo Line in 2018 (and maybe LAX at some point). However, without a stop in historic Leimert Park, it may be a project not worth having, but the mayor whom Blacks elected to city hall twice has made it a final priority.